So many good times and great experiences, I can't just pick one school story. 8/25/17...So very sad that I will be missing the 50th Class Reunion, but a family wedding is taking place in Chicago on August 27. There are so many of you that I would love to see again. Jeanne Smith Murphy posted a message. Jeanne Smith Murphy added a comment on her Profile. 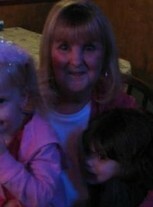 Jeanne Smith Murphy updated her profile. View. Jeanne Smith Murphy has a birthday today. Jeanne Smith Murphy posted a message. New comment added. Happy Birthday Mark, hope you have a great day! Sorry I missed seeing you and meeting your wife at the 50 year reunion, but I was in Chicago at a family wedding. Have a great celebration today!! Happy Birthday Mark. Hope you had a great day! Haven't seen you since the 90's...hope to see you at the Big 50 next August. Happy Birthday Carole! Have a wonderful day! Mary, it has been a long time since we have seen each other, but I had many classes with you, starting in grade school through junior high, on to RHS. Hope all is well with you. Isn't this site great! Lots of fun being able to say hello to our classmates from way back when.